Johns cited the continuity-light Wonder Woman, the DCU’s first real critical success, as a model to follow. “The movie’s not about another movie,” Johns said, highlighting at least one part of its standalone strengths. 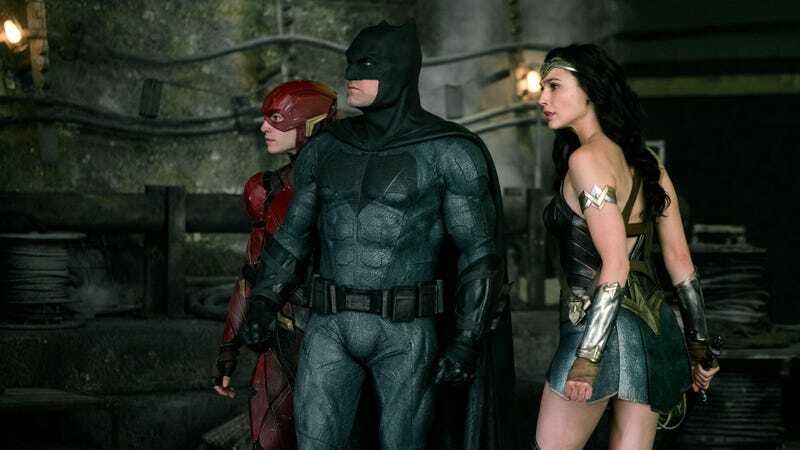 Films like Justice League will still lean on what came before, but the implication is that future movies, like James Wan’s Aquaman, will follow in Wonder Woman’s footsteps, while others—like the upcoming Joker movie—will exist outside the regular continuity altogether. After all, DC and Warner Bros. have been stuck in the unenviable position of playing catch-up to the MCU since as far back as Man Of Steel; certainly, some (although not all) of the awkwardness of Batman V. Superman came from the studio trying to force a background sense of a larger superhero world into a single film, something Marvel was able to slowly cultivate for itself in the four years between Iron Man and The Avengers. The inability of anybody besides Marvel to get this sort of long-form continuity firing on all cylinders suggests DC might, indeed, be better off just focusing on making the individual films the best that they can be.